Last month we spoke to Dr Tirunesh Busha, a young Ethiopian anaesthesiologist eager to learn more about anaesthesia and it’s subspecialties in order to teach others and improve anaesthesia care in her country. 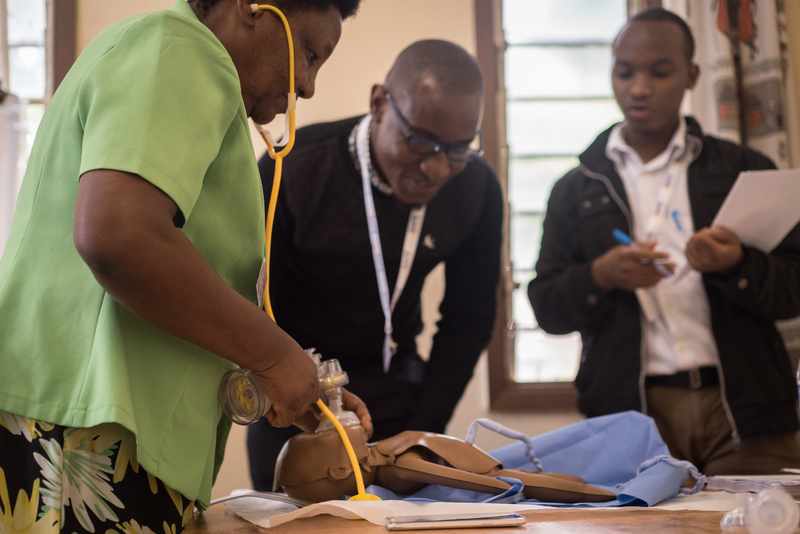 Dr Busha attended a THET funded SAFE Paediatrics course in Uganda last year, and went on to teach the first SAFE Courses in Ethiopia, where anaesthesia is still a young speciality. We caught up with her to learn more about being an anaesthesia provider in Ethiopia and the impact the course has had on her practice. I’m from the Oromia region in Ethiopia and am a final year resident in Anaesthesia, currently working as a trainee in the south-west part of the country at Jimma University Medical Centre. It is one of the biggest hospitals in the country serving about 15 million people. We have two general operating theatres, two obstetric theatres, and an orthopaedic theatre. 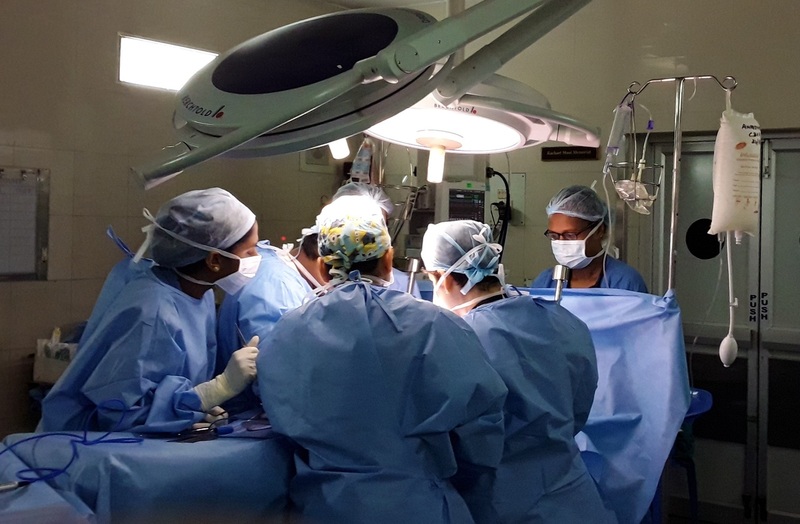 The main procedures done in our hospital are abdominal surgery, thyroid surgery, prostate surgery, gynaecological procedures, obstetrics, and orthopaedic surgeries. As a resident I also work in the Intensive Care Unit. What are the biggest challenges you face working in Ethiopia? While the need is so great, the lack of specialty surgical services is a challenge. For those who need advanced procedures in the operating room and ICU, a lack of equipment is the major problem I face in providing it. In a day we might have an average of about ten patients to be operated on, but half may be cancelled because of lack of equipment, lack of anaesthesia staff, a shortage of anaesthesia drugs, problems with the anaesthesia machine or other equipment, a lack of nursing staff, or if the surgeon is not available. We also use the same operation room for emergency and elective surgeries, so if we get an emergency case, we cancel the elective list. Was the SAFE course useful for your clinical practice? The SAFE Paediatrics course was the one thing which gave me confidence to work in the paediatric theatre. Paediatrics is a place of panic and worry when it comes to anaesthesia, but I now feel more comfortable anaesthetising children because I’ve had adequate training and hands on practice. Every topic in the SAFE course is very important and I found the sick child, airways, children with congenital syndromes, and pain management in children topics were particularly relevant. After the SAFE course I was able to prepare everything I could possibly need when I was put on paediatric rotation. I felt great because I knew what to do even before my consultant told me. Have you been able to put what you learned on the course into practice? Yes! A case I remember specifically where my SAFE training was helpful was that of a five year old girl who came in with a full thickness face burn, and where mouth opening was a big problem for intubation as part of airway prophylaxis. I was able to stabilise her and she stayed in our ICU for about two weeks before being referred to a burn centre in Addis Ababa for some reconstructive surgery. What do you think the most significant change has been for you/your work? Personally I feel more confident working with paediatrics patients now. In my facility I will be called to review a paediatric patient either for ICU admission or theatre and I am always grateful to be part of this training. My colleagues know that I had the training, and that it is an updated one, so it is easy to mentor or work with the junior residents and the non-physician anaesthetists as they trust my knowledge. I’m now at Kenyatta National Hospital in Kenya for a rotation in cardiothoracic anaesthesia, something I will not get a chance to learn about in Ethiopia as a resident. Kenya has more than 200 anaesthesiologists in the country, and most of them have done specialist fellowships already. My rotation has been an opportunity to get the chance to learn from some of them, and work with equipment that I have read about but have never used before. In my country, anaesthesia is a very young speciality so there are only a few anaesthesiology consultants, and 90% of them live in the capital city. When I finish my anaesthesia residency I will be expected to establish an ICU, operation theatre and teaching environment for anaesthesia in most of the government hospitals that sponsored my training. So, leadership knowledge and experience will also be important for me in the years to come.